Brief History Rosette presented to 'Daisy" for "3rd prize, 3. col Manx"
Photo: Karen Lawrence, courtesy of The CFA Foundation, Inc. 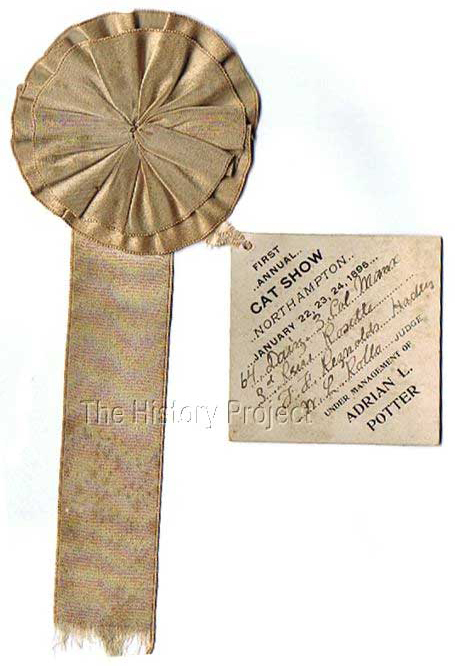 The only information available about this fabric rosette comes from the information on its tag. No registration records have been located for 'Daisy'.